Lockheed Martin’s decision to buy Sikorsky Aircraft from United Technologies (UTC) for $9 billion lifts a cloud of uncertainty that has hung over the Connecticut-based helicopter maker since UTC announced its desire to shed the enterprise earlier this year. Made public on July 20, the deal is subject to potential vetoes from both the U.S. Defense and Justice departments but is expected to receive regulatory approval. The parties anticipate closing on the acquisition late in this year’s fourth quarter or early in the first quarter next year. Lockheed Martin and United Technologies have agreed to make a joint election under Section 338(h)(10) of the Internal Revenue Code, which treats the transaction as an asset purchase for tax purposes. The election generates a tax benefit with an estimated present value of $1.9 billion for Lockheed Martin and its shareholders, bringing the after-tax price of the acquisition to $7.1 billion. Lockheed Martin CFO Bruce Tanner said the company plans to finance the deal with $1 billion in company cash and $8 billion in new, low-interest debt. Lockheed Martin has annual revenue of $45 billion, $22 billion of which comes from direct U.S. Department of Defense (DOD) contracts. Its signature military products include the F-35 Lightning II multirole fighter, C-130J transport aircraft, Patriot anti-missile systems and the Navy’s new Littoral Combat Ships. UTC had been publicly shopping Sikorsky since at least February, and the Lockheed-Sikorsky deal had been telegraphed for weeks. The deal would be Lockheed’s largest acquisition since it merged with Martin Marietta in a $10 billion stock swap in 1995. UTC’s revenue last year was $65 billion, of which Sikorsky accounted for $7.5 billion. However, Sikorsky’s profits and sales had been dropping in recent months and in June the company announced it would eliminate 1,400 jobs and consolidate some facilities. Sikorsky manufactures the ubiquitous line of UH-60 Black Hawks and the heavy-lift CH-53 Sea Stallion for various militaries, as well as the S-92A heavy and S-76D medium twins for the civil market. It also owns the Schweizer brand of light helicopters but stopped taking orders for them months–possibly years–ago. Sikorsky is based in Stratford, Conn., but operates additional domestic production facilities in Pennsylvania and New York. Worldwide, Sikorsky employs 15,000 people across 25 facilities in 11 countries. Lockheed Martin is based in Bethesda, Md., but has aircraft assembly plants in Marietta, Ga., and Fort Worth, Texas. It is expected to keep Sikorsky headquartered in Stratford. Sikorsky has been part of UTC since 1929, when United Technologies was known as United Aircraft. Although Sikorsky was initially known for fixed-wing amphibious aircraft, under Igor Sikorsky’s direction it began work on its first helicopter in the 1930s. The Vought-Sikorsky VS-300 first flew in 1939, and in 1942 the Sikorsky R-4 became the first mass-produced helicopter. She said Sikorsky’s brand will be maintained and it will be known as “Sikorsky, a Lockheed Martin company,” functioning as a “standalone business.” The company plans to align Sikorsky under its Lockheed Martin Mission Systems and Training (MST) division. MST and Sikorsky are currently partnered on a number of critical programs, including the VH-92 Presidential helicopter, combat rescue helicopter and the Naval MH-60. 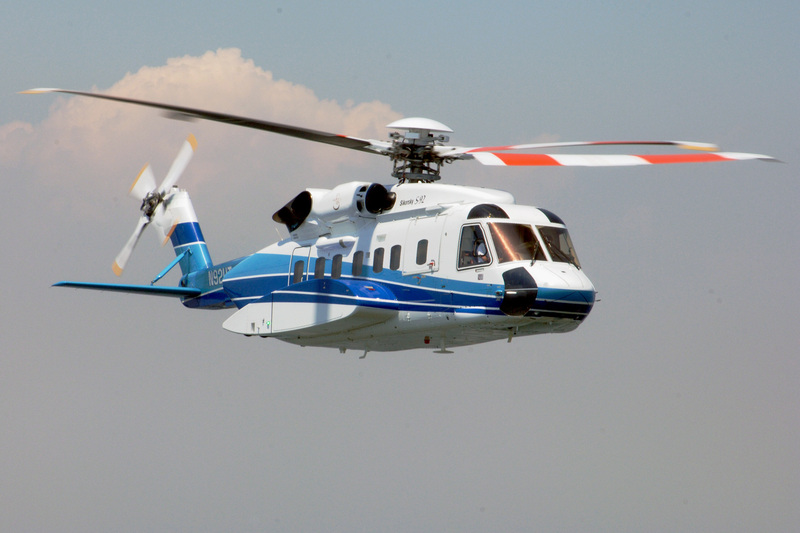 Teal Group aviation analyst Richard Aboulafia believes Sikorsky is worth the price. “Lockheed is paying a lot, but Sikorsky is very strong.” He sees Sikorsky as one of Lockheed Martin’s few opportunities to expand its manufacture of defense platforms. Lockheed’s last solo helicopter program was the AH-56 Cheyenne fast attack helicopter, canceled in 1972 after manufacture of 10 prototypes. A Lockheed Martin spokesman said the company plans to retain all of Sikorsky, both its military and commercial businesses. That makes sense to Aboulafia. “Unlike most Bell and Airbus civil products, Sikorsky’s share a lot of components and technology with their military counterparts,” he said. He believes Lockheed Martin would like to divest these programs in terms of their strategic direction, but from a manufacturing and operational standpoint a divestiture might not be practical. Commercial sales currently account for 25 percent of Sikorsky’s revenue. However, the future of Sikorsky’s Schweizer small helicopter division remains in doubt. A Sikorsky spokeswoman told AIN that the company continues to evaluate the business case for further production of those models. “Right now, our priority is to follow through on our commitments with contracted customers while we strengthen our supply chain and remain focused on ensuring strong aftermarket support,” she said. Also open to speculation at present is how the Sikorsky acquisition will affect Lockheed Martin’s relationship with other rotorcraft manufacturers, including Bell Helicopter, for which it performs systems integration work. Lockheed Martin is currently partnered with Bell in developing the latter’s V-280 Valor third-generation tiltrotor for the U.S. Army, currently a finalist in the Pentagon’s Joint Multi-Role Technology Demonstrator (JMR-TD) program, a potential precursor for a large aircraft order worth more than $100 billion within the next decade. Sikorsky is partnered with Boeing for the purpose of fielding a competing aircraft, the S-97 Raider compound helicopter with rigid coaxial contra-rotating rotors. A Bell spokesman said the company has no immediate comment on any impact Lockheed Martin’s acquisition might have on the V-280 program. A Lockheed Martin spokesman said that the acquisition will not affect his company’s participation with Bell on the V-280. “The transaction will not have an impact on our pursuit of the Future Vertical Lift/Joint Multi-Role program. We will continue working with our current partners and teammates to bring the best technical solutions to our customer,” he told AIN.